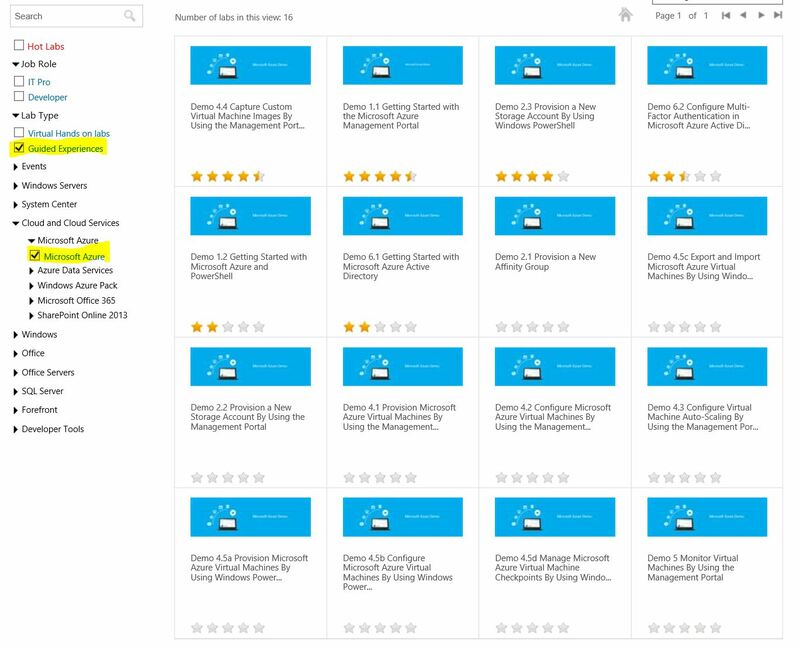 In my previous post I tried to ease up the search for information but if you are committed to learn Microsoft Azure there are more structured ways, besides costly official courses from training partners. https://channel9.msdn.com/Series/Microsoft-Azure-Fundamentals – Much of the same content as in the courses on MVA but as standalone videos. https://technet.microsoft.com/en-us/virtuallabs – Great resource for getting some hands on experience in labs, the Hands on Labs for Azure does not cover the IaaS specifically but if you check the Guided Experience, you will get some valuable content to spend your time on.